This is post number four in the Online Writer’s Group hosted by Kate Motaung. Noticing and attending to what is going on around me comes naturally. I have a good friend who is the quintessential “absent-minded professor” who will notice a business that has been there for several years and she will “see it” for the first time. I get used to hearing, “When did they build that place?” She can successfully focus on what she is passionate about no matter how noisy the environment, or commotion. I wish I could be more like her. Every change, sound, visual stimulation, etc. catches my attention. I notice everything. As a child I became aware that not everyone hears the poetry in whispering leaves of the trees. In some ways society taught me to keep quiet about such noticing. One of the marvelous attributes of the internet is that mine is not a singular experience. Those of us who are very attune to “noticing the art in the simple” find fellowship with one another in places like this. The difficulty lies in honing in on the useful observations and recalling the correct detail over time. Organization is probably the key. Memory is fickle. I don’t have the option of what detail I remember from the distant past. I remember unusual details clearly for no apparent reason. My sister sang in a recital when I was two years old. 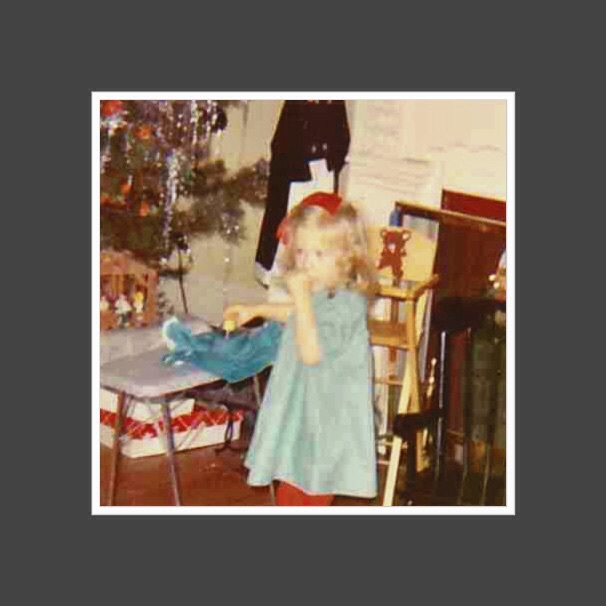 I specially remember the turquoise smocked dress I wore. I remember getting dressed up on a weeknight evening. We drove to get my grandmother before the family drove to the a forgotten location. I remember that we were running late and my mother was stressed. I have no idea what my sister sang or how it sounded. I remember sitting on my mother’s lap and playing with her necklace. I was pleased that other people liked listening to my sister sing. The room had plush red carpet. All I have are disconnected peculiar details. Why do I remember what I wore? Was the fact that I had to put on my good dress on an ordinary evening the detail that was important to me? What is with the carpet? Was that memory indelibly etched in my memory because my home had oak floors? I do not have a good catalogue of the rich sensory details that I have noticed over the course of my life. Much of it is disjointed, like my memory of the recital. Still more of my noticing has been recorded in my journals. These are slow to search through, although they are a treasure trove for finding what I really thought, felt and cared about at a particular stage. The barrage of details are carelessly stored in my brain in such a way as to make them only useful for fiction. I would love to hear of useful ways to collate the glorious array of threads that weave the tapestry of the human life. What tools do you use to keep track of the details that you notice? I enjoyed learning in the video that Google drive documents are searchable by keyword. Does anyone have a favorite app? How do you keep account of all the little details that make life rich? So cool that you’re getting to participate in this! Good stuff!